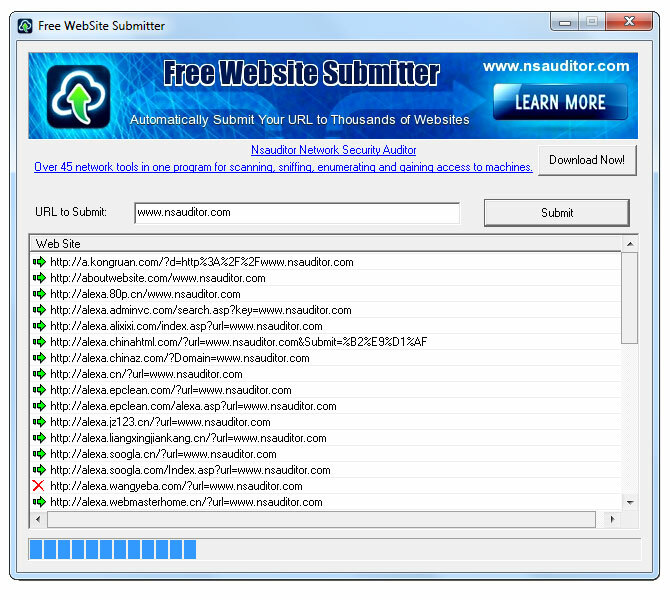 Free Website Submitter software is search engine submission tool that helps automatically submit your URL to over 1600 different Websites, search engines, directories and link pages. It`s the Internet marketing and promotion software for web site owner, Web master, SEO and Web consultant. The tool is designed with a user-friendly interface and is easy to use.